Living a Fit and Full Life: Embark on New Adventures with Lily's Driftwood Bay: Season 1 from NCircle! + Giveaway! Embark on New Adventures with Lily's Driftwood Bay: Season 1 from NCircle! + Giveaway! "Welcome to Lily's Driftwood Bay! Lily is six years old and lives with her dad and her best friend, who is a seagull named Gull, in a little hut on the beach. Across the way is Driftwood Bay, a special island that exists in Lily's imagination. Every day the sea washes up a new treasure which sparks Lily's imagination about what might be happening on Driftwood Bay. 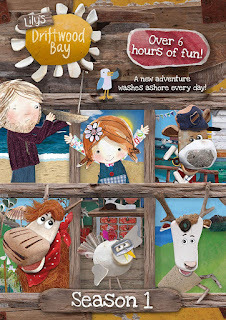 Join Lily and her friends, Salty Dog, Bull, Nonna, Hatsie, Wee Rabbit and Lord Stag as they sail to Driftwood Bay where wonderful adventures await! Along with each adventure is a valuable lesson learned in each story from learning to tell the truth to saying sorry to asking for help. Embark on new adventures with Lily and friends as they travel to Driftwood Bay! " Embark on new adventures with Lily's Driftwood Bay: Season 1 from NCircle! 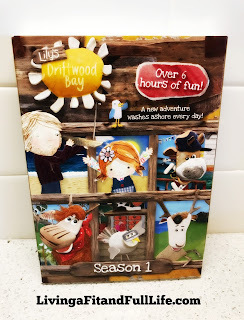 Lily's Driftwood Bay: Season 1 is a super fun DVD that my kids absolutely adore. Lily's Driftwood Bay: Season 1 is filled with adventure and imagination. As a mom of 4 I love that each episode has a valuable lesson for kids and that the lessons are easy to understand. Lily's Driftwood Bay: Season 1 from NCircle is also filled with super fun characters that make the show both fun and entertaining. The episodes are a blast and keep my kids engaged and entertained. Lily's Driftwood Bay: Season 1 from NCircle is a terrific DVD for kids and my family and I highly recommend it!